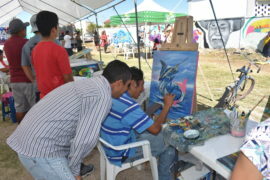 So here we are with a new year and lots of new and interesting activities. 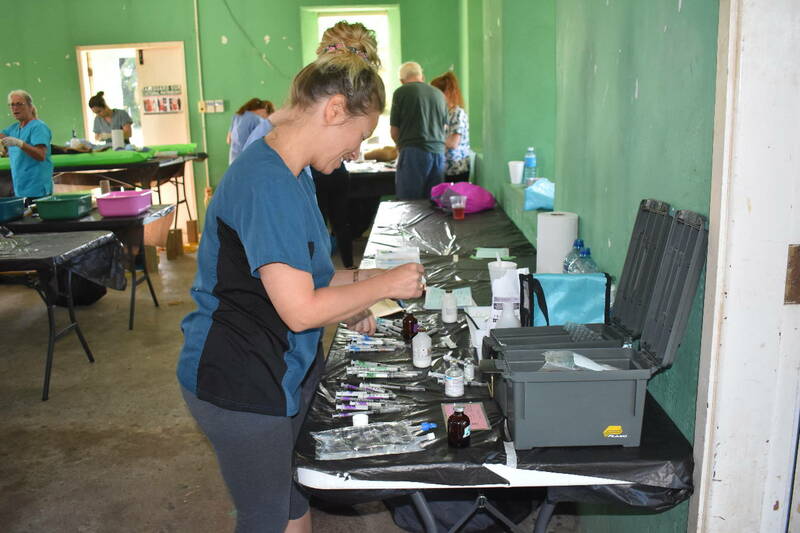 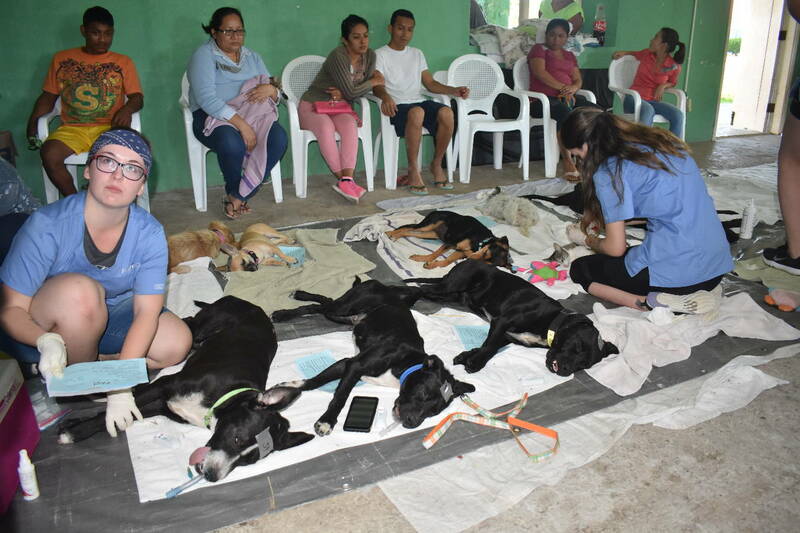 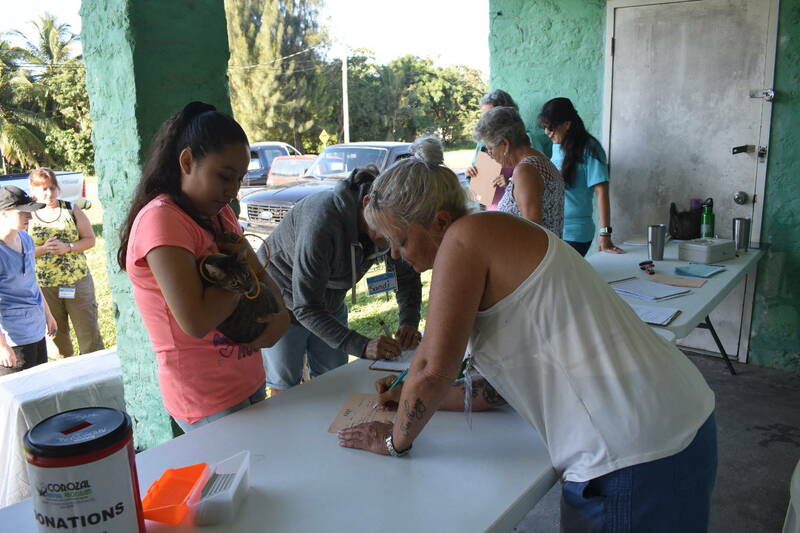 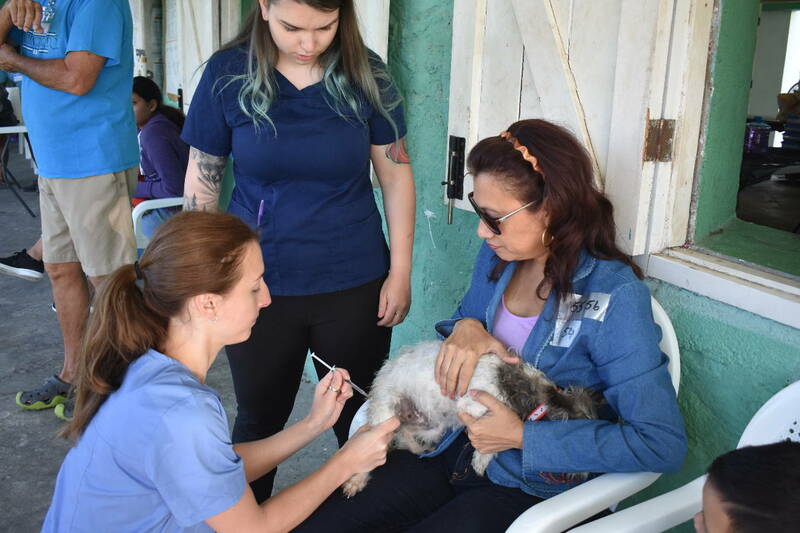 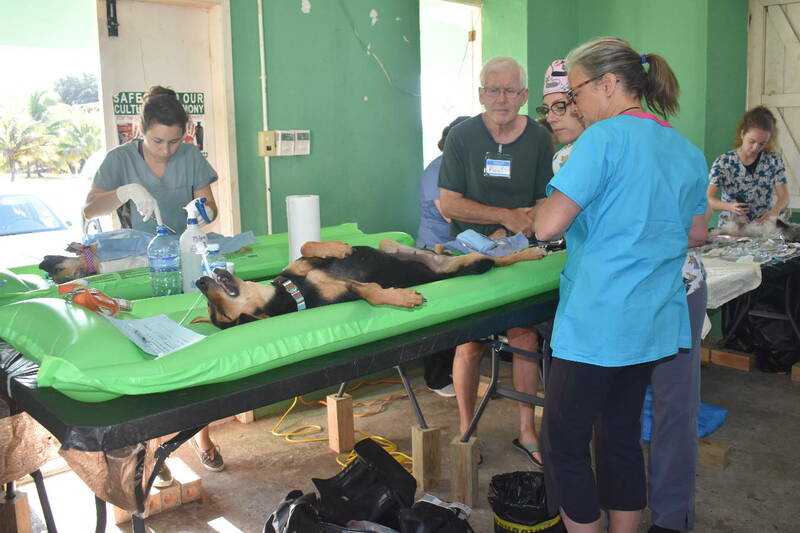 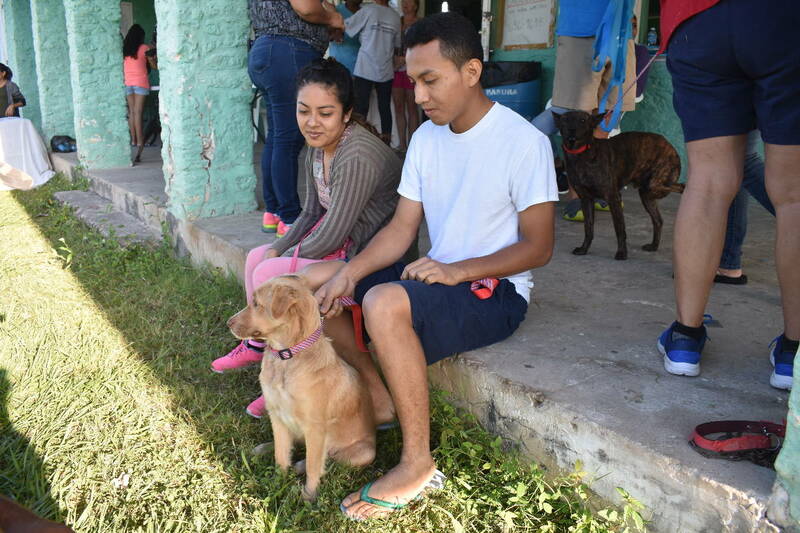 Last week was really busy with the Corozal Animal Program’s annual spay and neuter clinic. Over a 2 day period the all women team of 4 vets and their entourage of 13 vet techs and a load of local volunteers fixed 17 cats and 80 dogs. 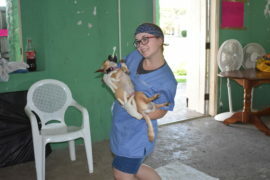 Imagine how many less unwanted and unplanned hungry puppies and kittens will be running around. 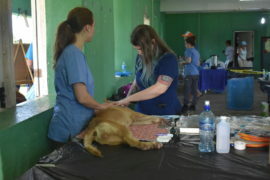 while the vets and technicians prepared for the long day ahead. 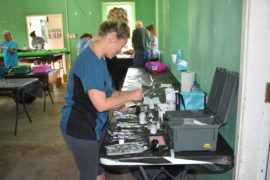 Sorting out medicines and equipment, giving the pre-med injection, shaving the animals’ tummies. Then the vets could get going and they went on and on all morning and into the early afternoon. 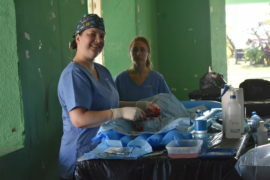 even having time to smile for the camera. 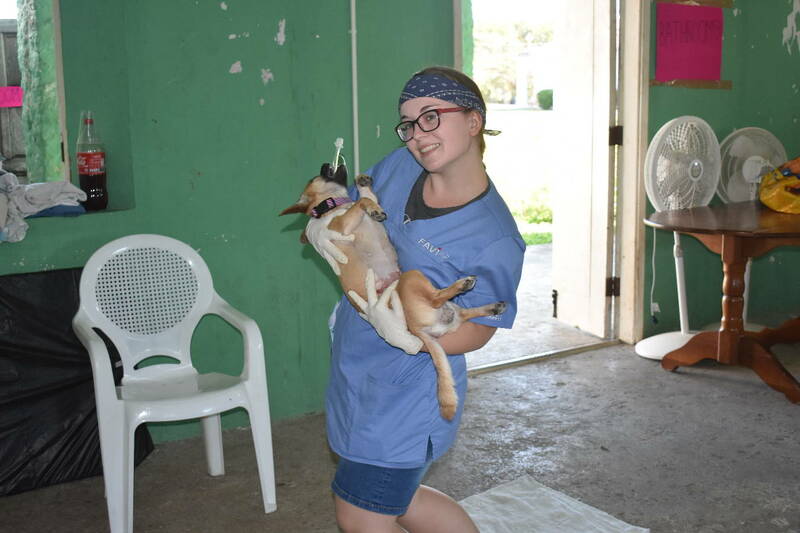 As soon as the surgery was done the technicians carried the animals to the recovery area and spent ages tending to them — cleaning ears, clipping claws, removing fleas and ticks — a wonderfully dedicated group of young women. 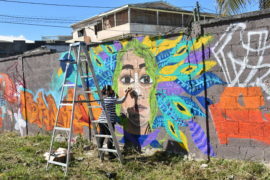 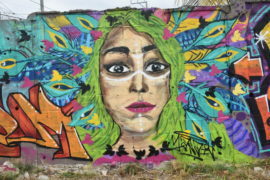 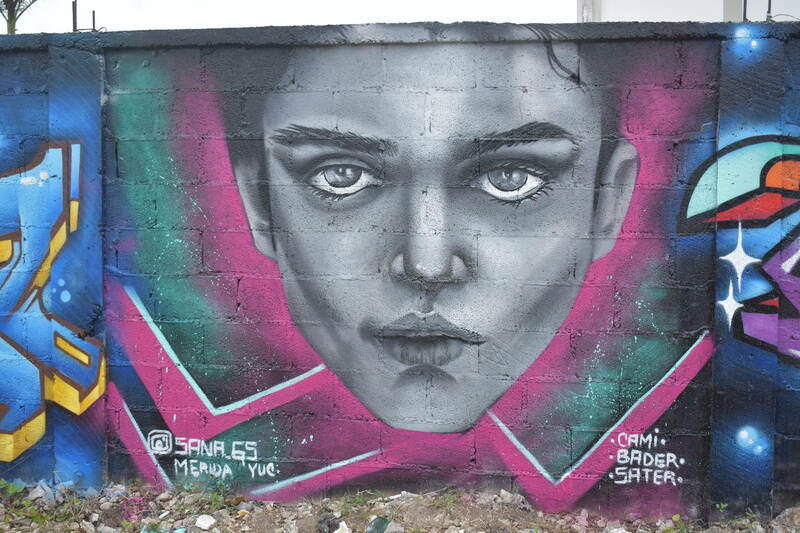 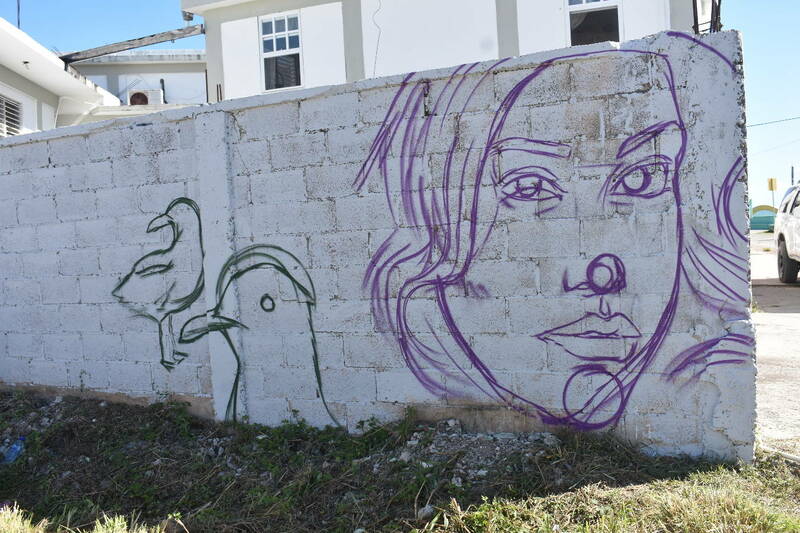 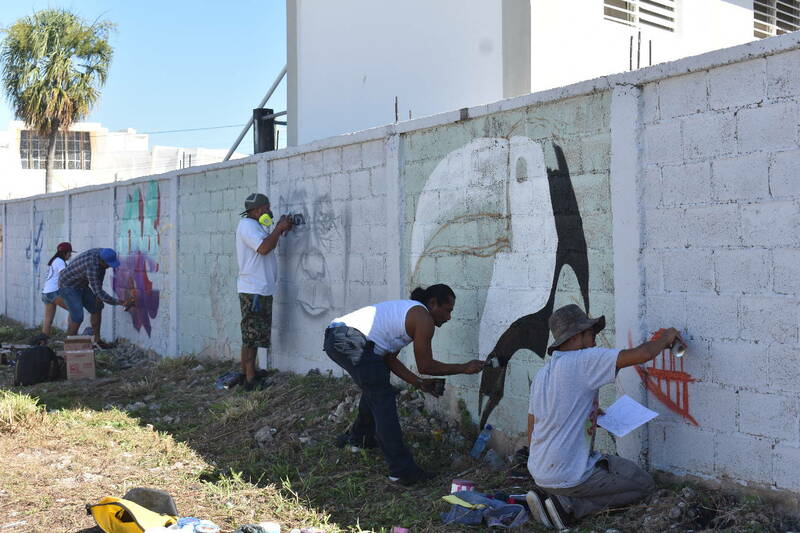 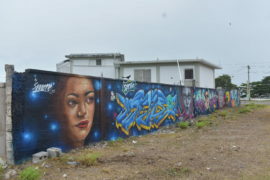 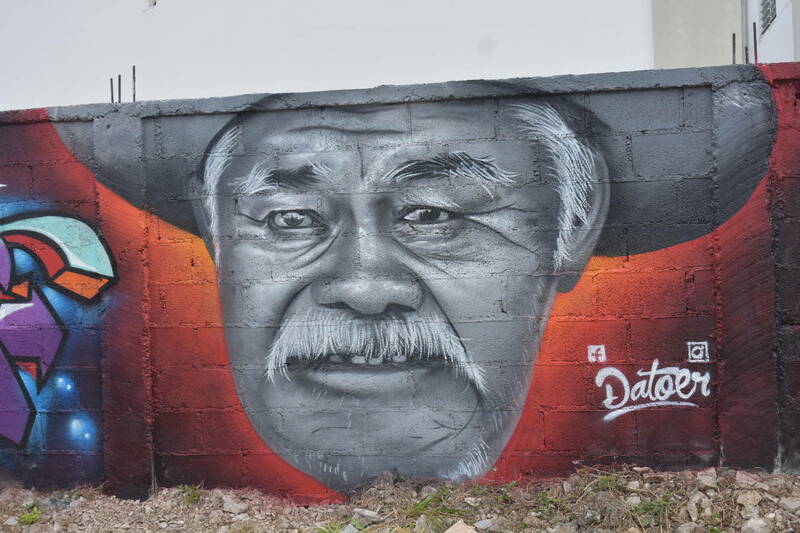 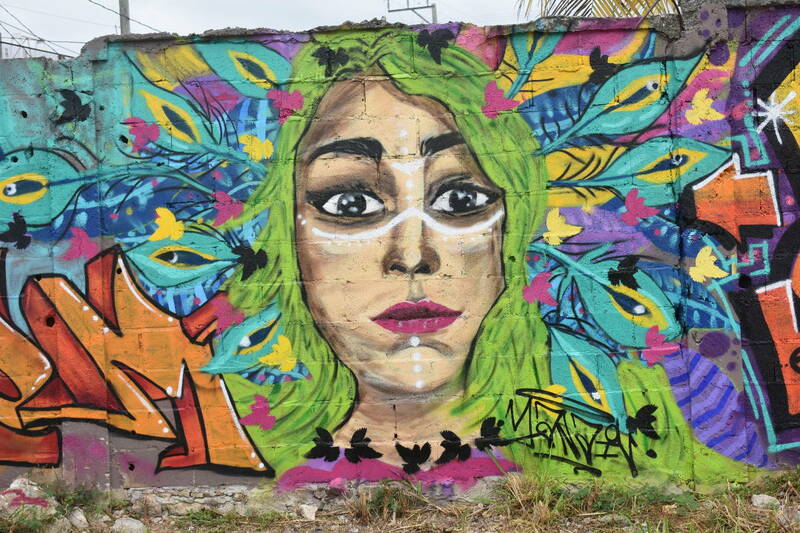 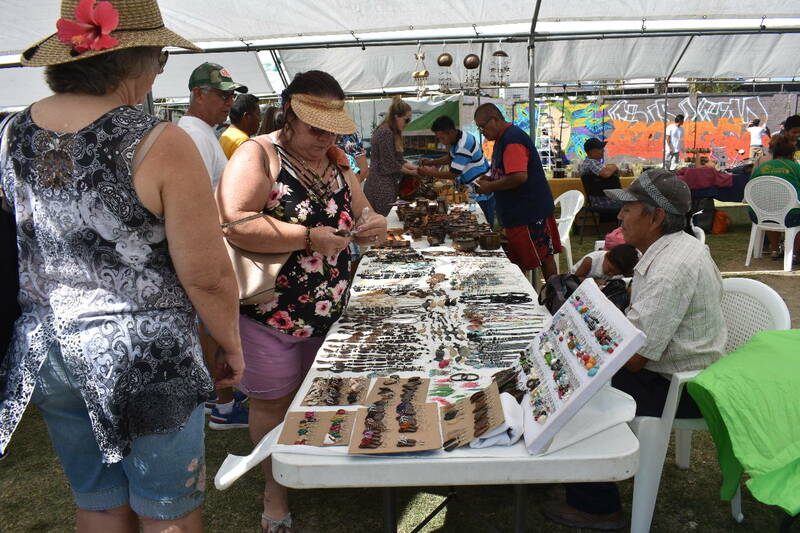 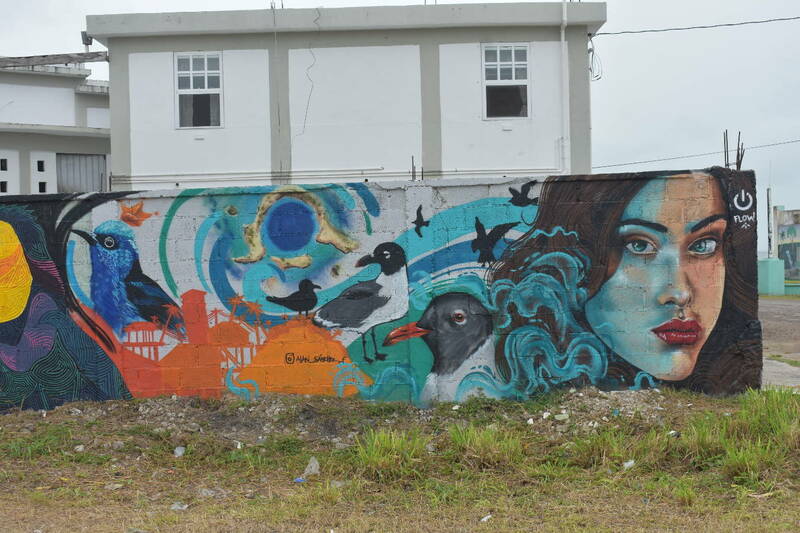 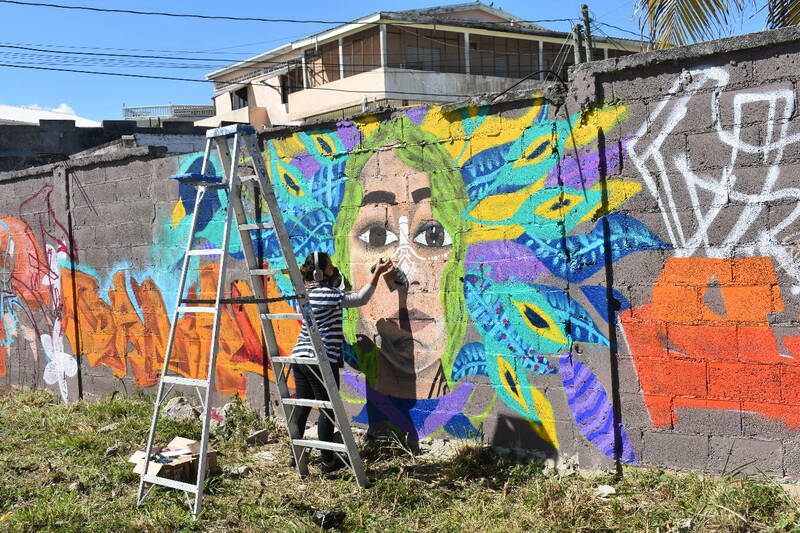 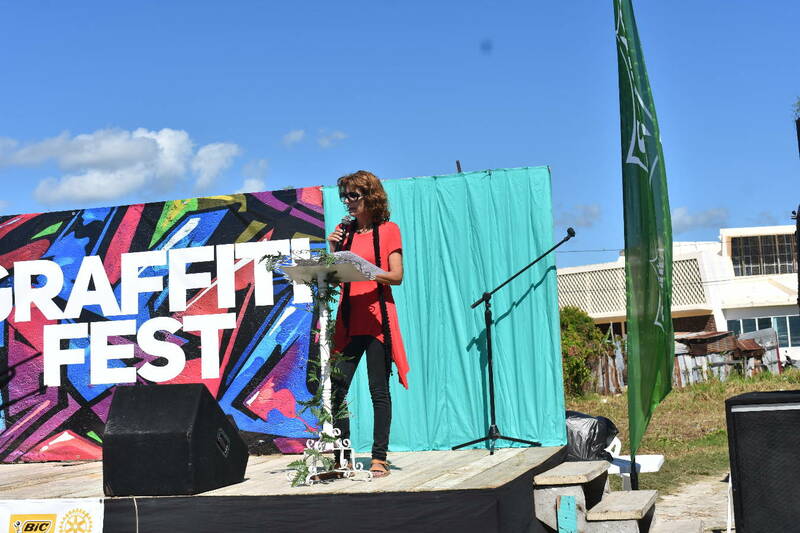 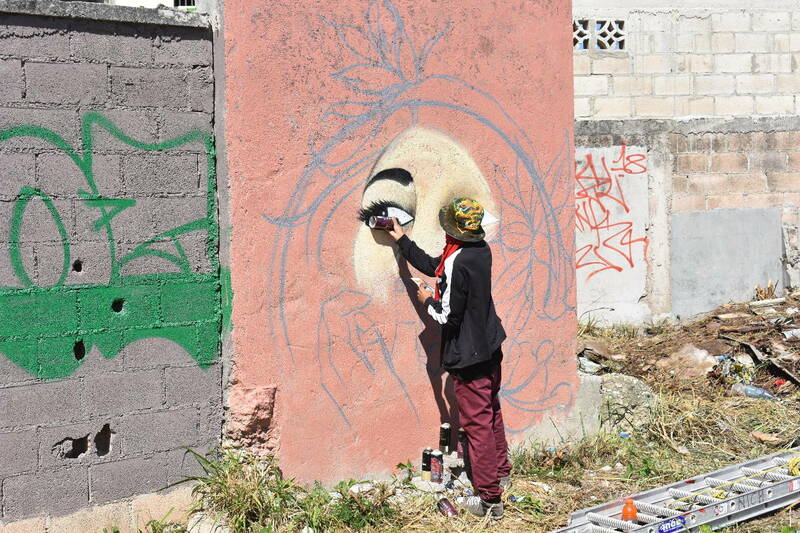 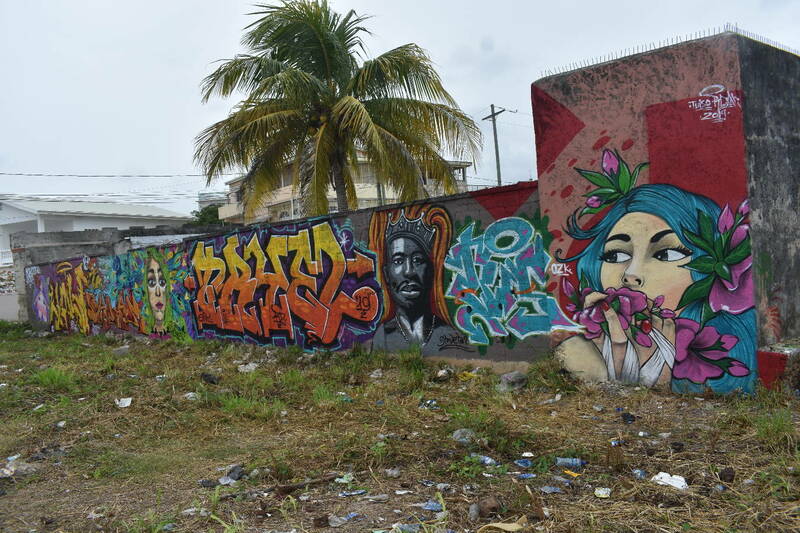 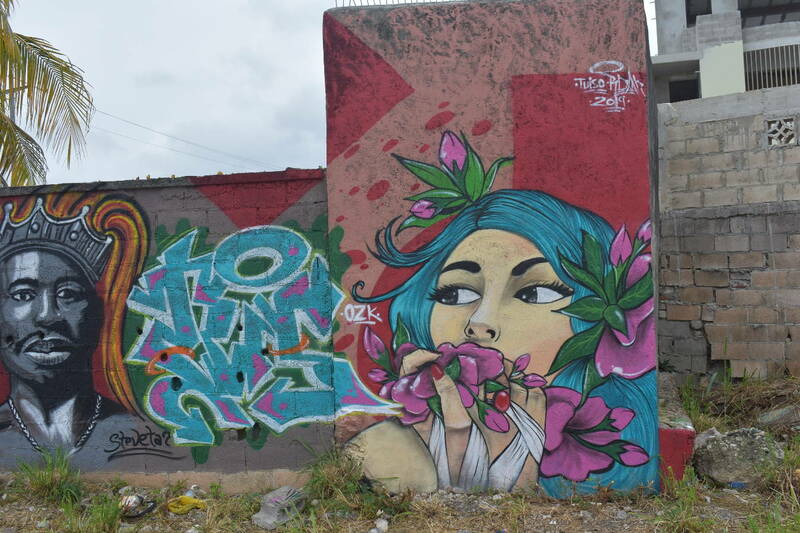 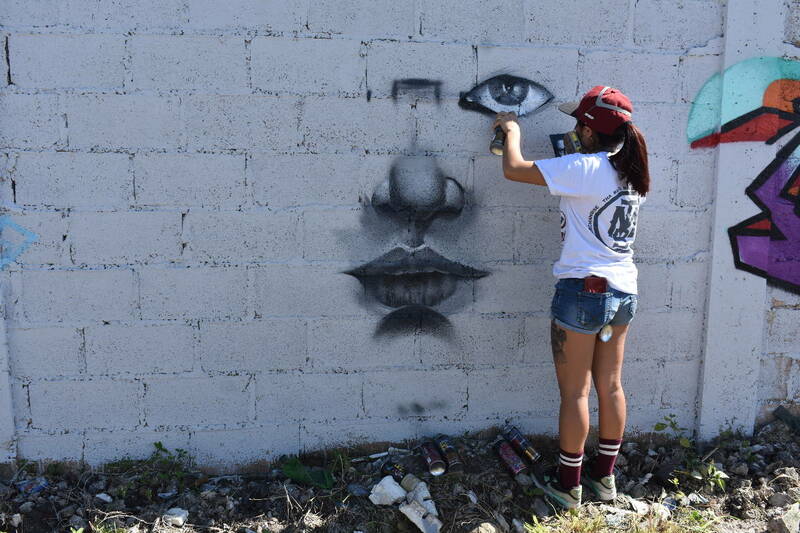 The very next day was Corozal’s first ever Graffiti Fest organized by the House of Culture. 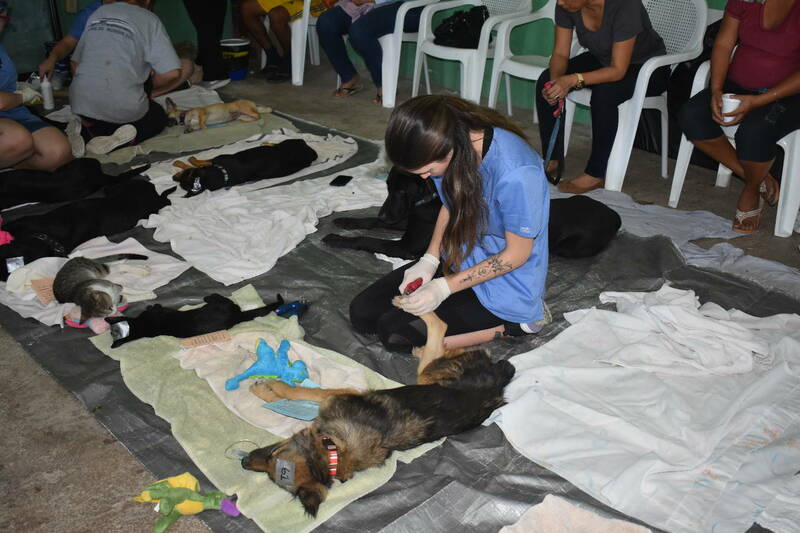 What a huge success. 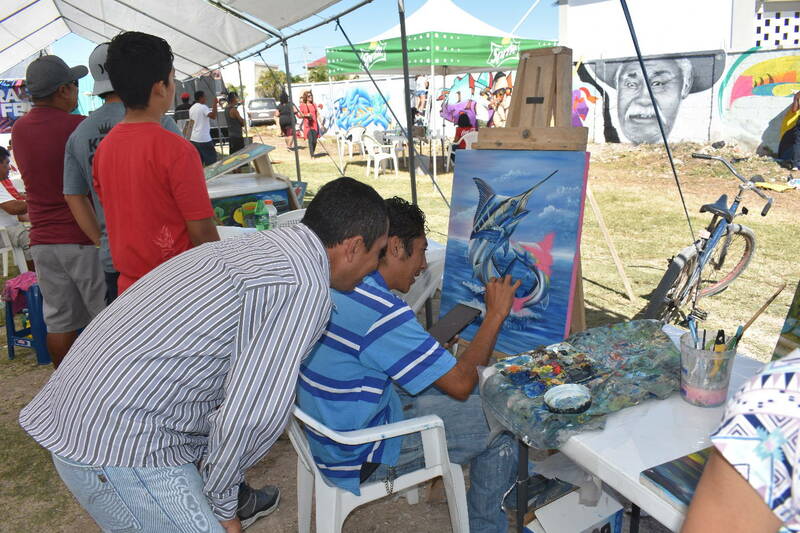 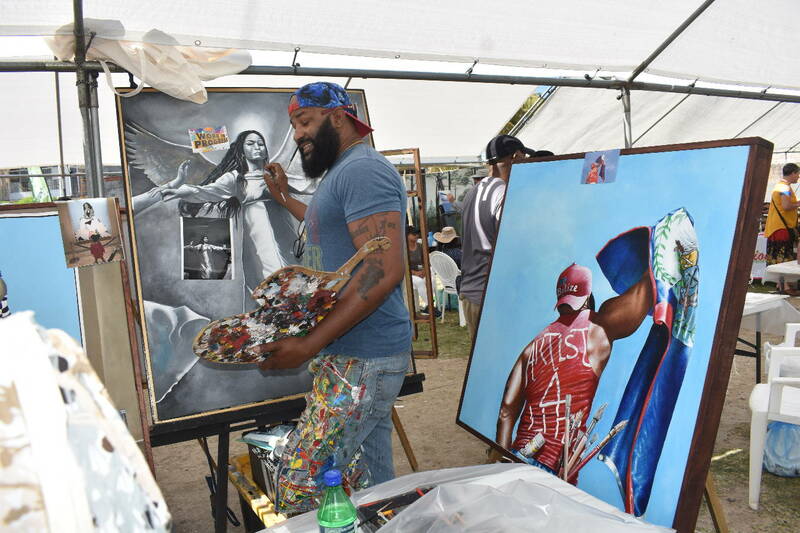 There were graffiti artists from both Belize and Mexico, there were live artists working on site, there were sales of arts and crafts, tattoo artists and piercing, music, open mike, NGO’s with their stalls, food, beer garden … you name it. 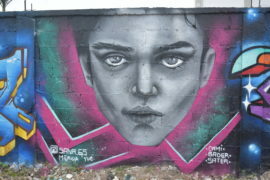 I tell you the graffiti was amazing. One thinks of scrawling writing on railway bridges but this was real art. 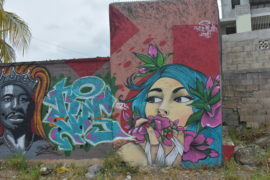 So take a look. 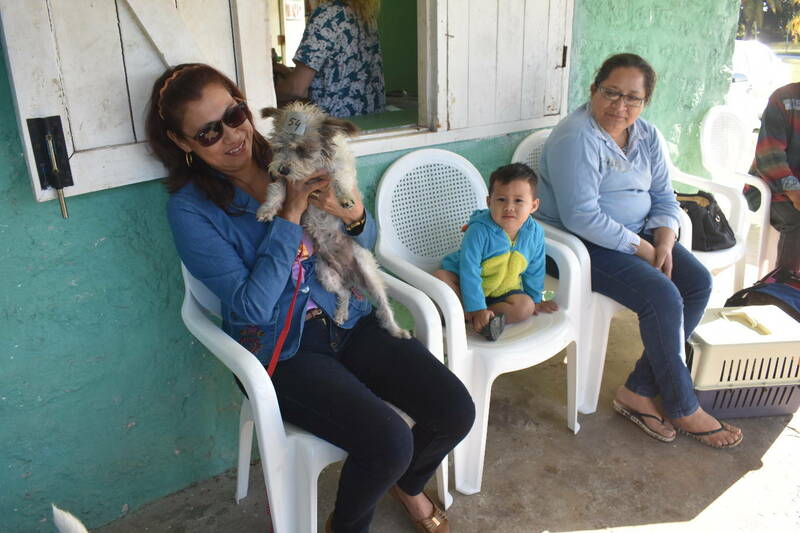 The start of the day and the end of the day. 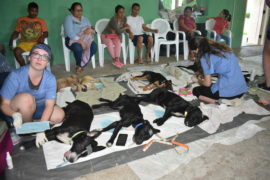 Oh gosh, just too many to choose from. 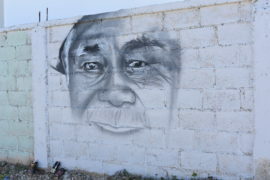 And sadly the inevitable trash on the ground. Which leads me seamlessly into my part in the day. 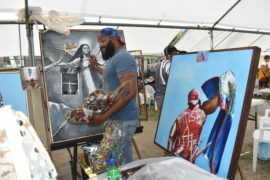 I was invited to be one of the live artists actively working on their art at the fest. 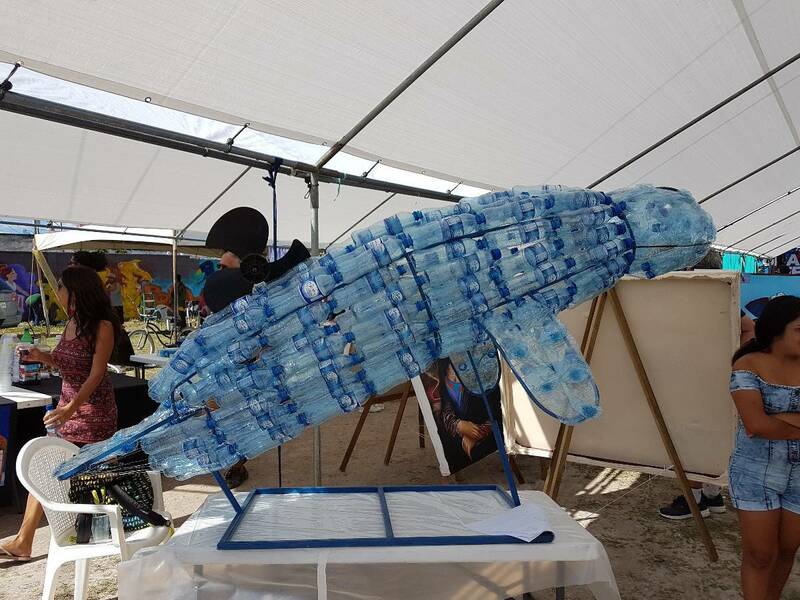 For a long time I have wanted to create a piece of sculpture using plastic waste and came up with this idea. 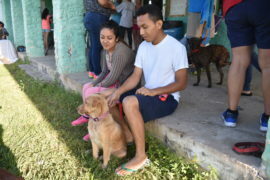 Here I am putting it together with the help of Charlie who works at the Retreat. 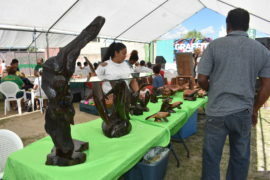 Of course I couldn’t do the welding of the armature myself but I found a guy who did such a great job. 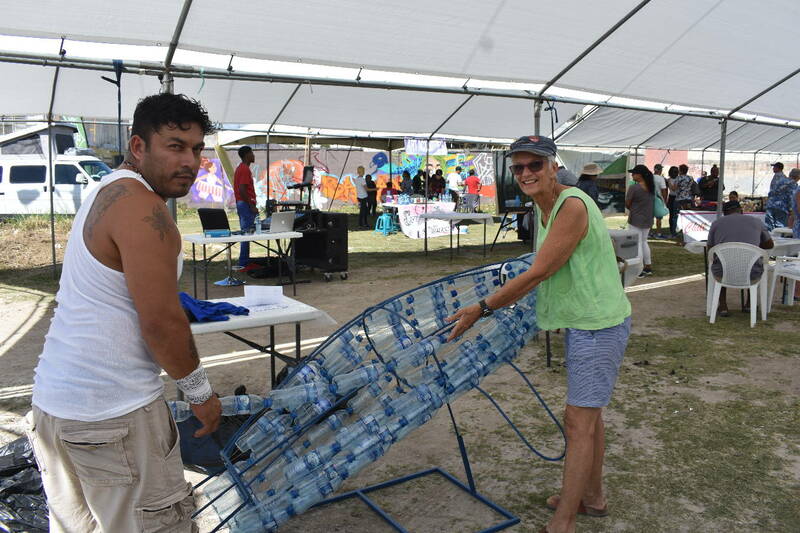 I really want to show people that they can’t claim, as they do, that “You see Ms Rose, in Belize we don’t have the materials to make things”. 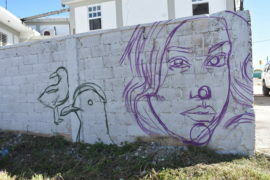 They do, they just don’t see the possibilities for all the plastic that is just thrown on the side of the road. 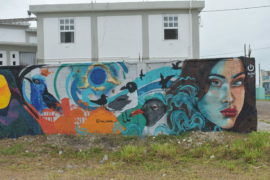 And the manatee which is in constant danger from being run over by boats was the perfect subject. 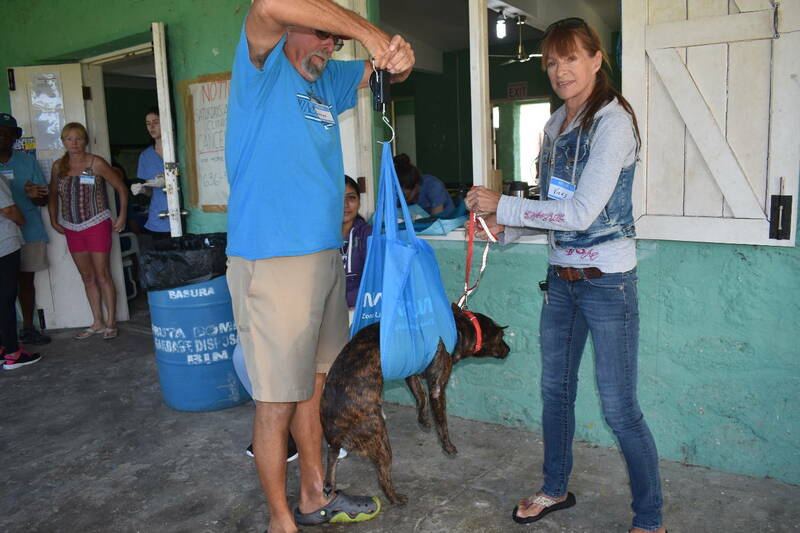 Note the “propeller” stuck in its back. Here is a selection of other arts and crafts. 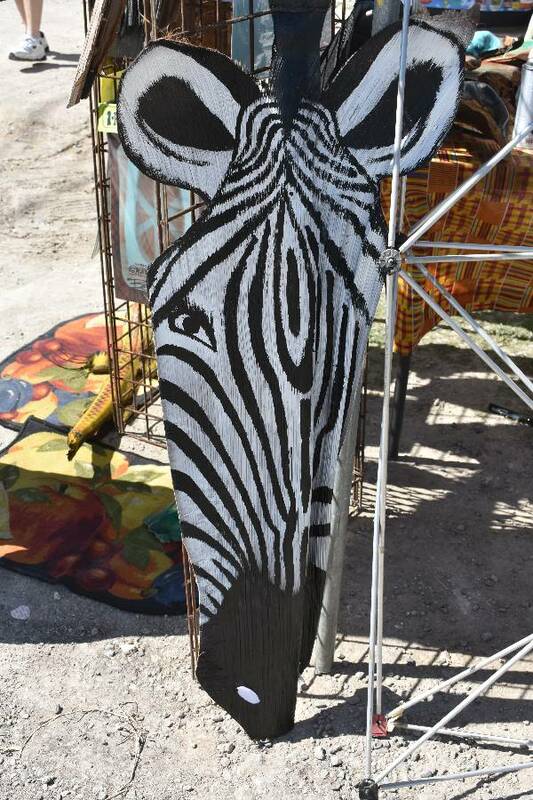 The zebra is painted on a dried palm frond and this is the resourceful Debra Wilkes who pulled it altogether on behalf of NICH and the Corozal House of Culture. 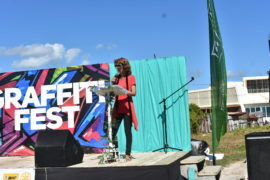 Printed from https://gatewayretreatbelize.org — Letter from Belize no. 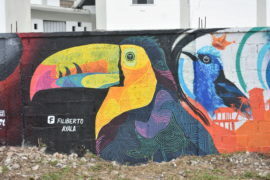 78.